Heinrich Liebrecht in a 1940 photo taken by his wife, Elisabeth Hertz. Starting Thursday, an ad hoc group of familiar North Coast actors presents the first English language production anywhere of Requiem, a play by Heinrich Liebrecht about his experiences in Nazi concentration camps and afterward. In part -- and improbably -- it is a love story. Liebretcht's concentration camp memoir in book form has been called the most vivid of all such accounts in its presentation of everyday life. It was translated into English by Arcata resident Ursula Osborne, who also translated Requiem, Liebrecht's autobiographical play, and guided it to this first performance. Liebrecht won the Iron Cross as a German soldier on the western front in World War I. Born a Jew, he converted to Catholicism in the 1920s. A lawyer and former judge, he tried to emigrate from Germany in 1942 with his wife and infant daughter, but the Nazis caught him in a sting. They imprisoned and tortured him before sending him to Theresienstadt. "It was supposed to be a model camp that the Nazis were showing to the Red Cross and the outside world, to show that concentration camps aren't so bad," Ursula Osborne said. "Actually it was also a transition camp, from which people were eventually sent to Auschwitz." That included Liebrecht. After learning that his wife had killed herself, Liebrecht looked for someone to help care for his young daughter at Theresienstadt. He found a practical choice: Boszi Weiss, head of the camp's infant home. He was also taken with how she flicked her hair back out of her eyes. "The closeness of their sexual relationship wasn't as clear to me from the memoir," Osborne said. "I didn't see that until I learned more about it in the play." From an outside perspective, Liebrecht's life in captivity has an almost hallucinatory quality. In addition to privation and oppression, it involves this love affair, family, chance and choices, a woman's astonishing self-sacrifice at the death camp of Auschwitz, and a journey of reconciliation and forgiveness after the war. This combination of the mundane and the extreme, the ordinary human emotions within an inhuman context, can be understood only through the particulars of his story, as told in this play. Ursula Osborne's father and Liebrecht had been friends before the war. She visited Liebrecht in Germany in 1969 and corresponded with him until shortly before his death in 1989. Osborne remembers him as charming, magnetic and kind. Though Liebrecht had doubts about his play, he allowed it to be performed (in German) by a small theatre group in Salt Lake City in 1982. Liebrecht was then the German consul in San Francisco, but he never saw a performance. Director John Heckel met Osborne in Arcata and became interested in the project. Together (and with the help of others) they shaped the text for this first English language production. Heckel enlisted actor Charlie Heinberg to play Liebrecht and Tisha Sloan to play Boszi Weiss. Heinberg has performed in Humboldt State, College of the Redwoods and Ferndale Rep productions, including Cabaret at Ferndale. Sloan was most recently featured in Redwood Curtain's Dusty and the Big Bad World. Also performing are Cindy Brown (house manager at North Coast Rep) and Matt Brody. 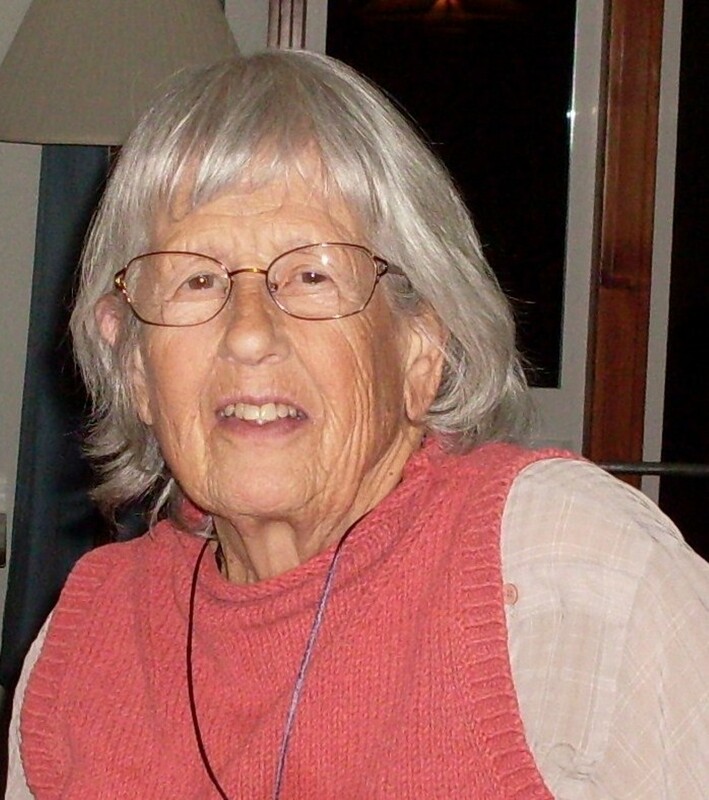 Now in her 80s, Osborne came to Arcata in 1976 from southern California with her husband, a chemistry professor who wanted to retire where there were big trees. She's been a teacher and a Peace Corps volunteer. Apart from the subject matter itself, Heckel said he was attracted to the project by her "phenomenally independent spirit." Requiem will be performed Thursday through Saturday, Jan. 10-12, at 8 p.m. and Sunday, Jan. 13 at 3 p.m. at the Humboldt Unitarian Universalist Fellowship in Bayside (24 Fellowship Way, off Jacoby Creek Road). There is no admission charge. Liebrecht's memoir Not To Hate But To Love -- That Is What I Am Here For, translated by Ursula Osborne, is available in paperback and ebook. My interview with her is posted at http://stagematters.blogspot.com. Coming Up: An outfit called Murder By Dessert has been producing a number of participatory murder mysteries (the audience helps solve the crime) along with dinner at various venues. The next is scheduled for Saturday, Jan. 12, at the Hotel Arcata. Information: www.murderbydessert.com. I attended such an event years ago in Pittsburgh. The designated murder victim had to be dispatched earlier than planned because she was a news anchor at a local TV station, and had to leave to cover a real breaking news story: the massacre in Tiananmen Square. The usual North Coast stages begin lighting up again on Jan. 24 and 25 with three new productions. On Thursday Jan. 24, North Coast Rep opens David Mamet's American Buffalo, directed by Michael Thomas, while Dell'Arte reprises Three Trees with Joe Krienke, Stephanie Thompson and Lauren Wilson. On Friday (Jan. 25), Ferndale Rep opens Songs for a New World, a small cast musical revue by Jason Robert Brown. On Saturday (Jan. 26), Redwood Curtain presents its annual fundraiser, a dinner buffet and live radio show, Zounds and Gagged, at Blue Lake Casino. Reservations: (707) 443-7688 or redwoodcurtain.com.